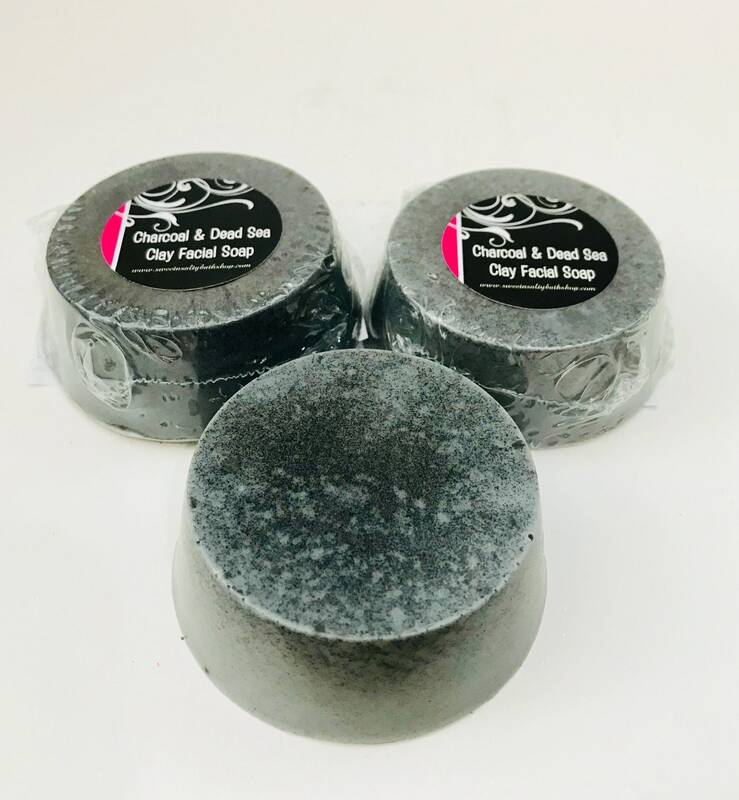 * 3 in 1 Facial Bar cleanses, moisturizes and exfoliates leaving it soft and smooth. 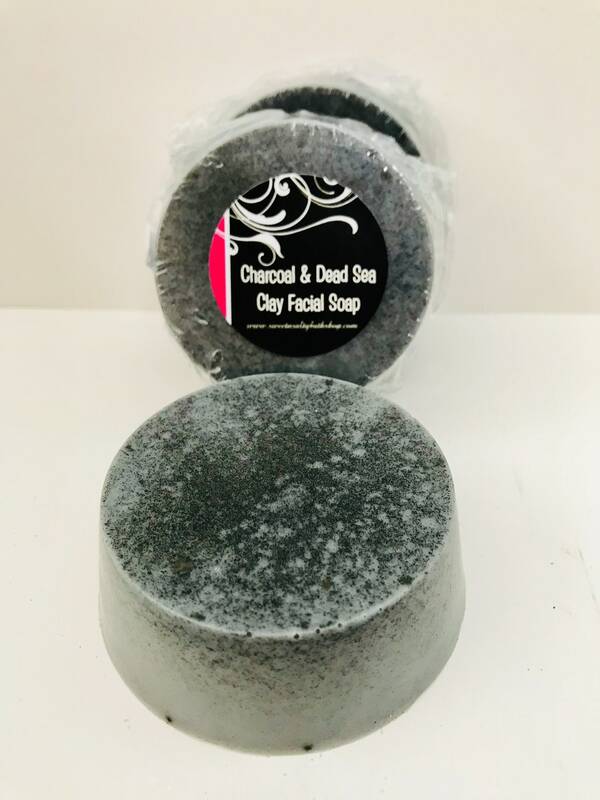 * Activated charcoal powder draws bacteria, dirt, chemicals, and other micro-particles to the surface of the skin. Tightens pores and smooths skin leaving it nourished and revitalized. 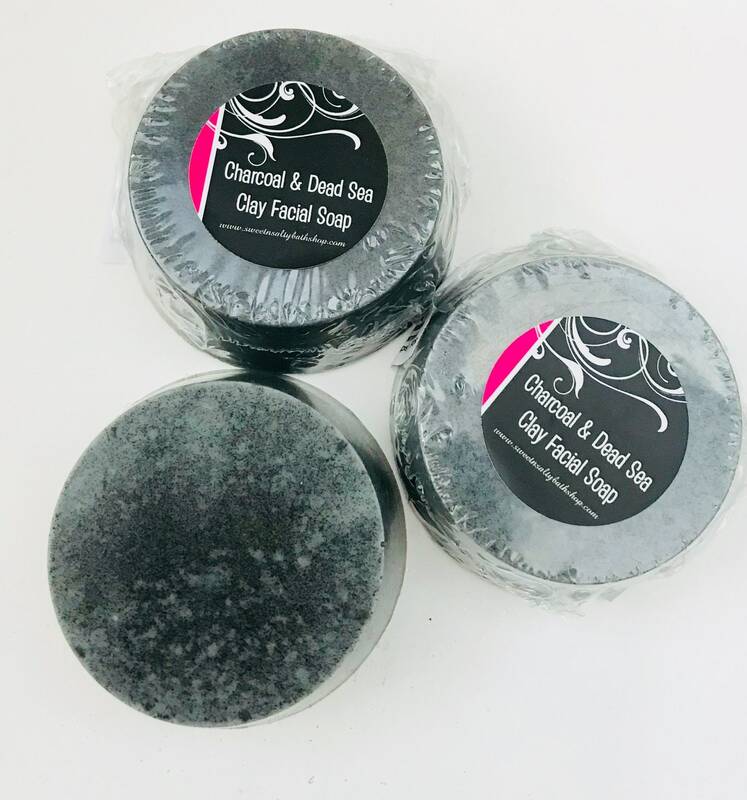 * Dead Sea Clay hydrates, removes dry skin, improves circulation, and helps psoriasis, eczema, and acne-prone skin. * Tea Tree Essential Oil helps fight acne and clear clogged pores effectively without the harsh ingredients other acne treatments have. 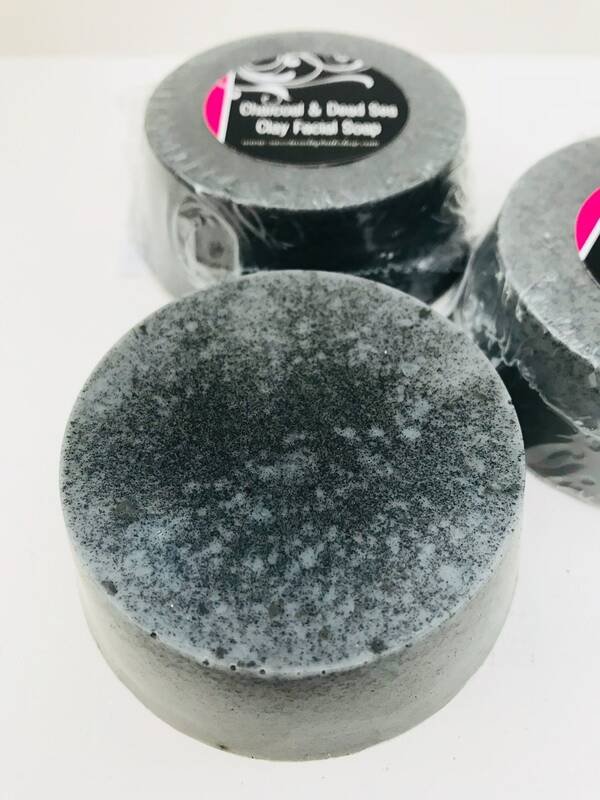 * Contains highly moisturizing Mango Butter, Goatsmilk, and Coconut Oil that are skin nourishing and contain antioxidants that are vital in maintaining healthy skin. Ingredients: Cocos Nucifera (Coconut) Oil, Elaeis Guineensis (Sustainable Palm) Oil, Carthamus Tinctorius (Safflower) Seed Oil, Glycerin (kosher, of vegetable origin), Dead Sea Clay, Purified Water, Mangifer Indica (Mango) Seed Butter, Goat's Milk (liquid), Sodium Hydroxide (saponifying agent), Activated Charcoal, Sorbitol (moisturizer), Propylene Glycol (from vegetable glycerin), Jojoba Beads,Tea Tree Essential Oil,Sorbitan oleate (emulsifier), Oat protein (conditioner), Titanium Dioxide (mineral whitener used in opaque soaps).